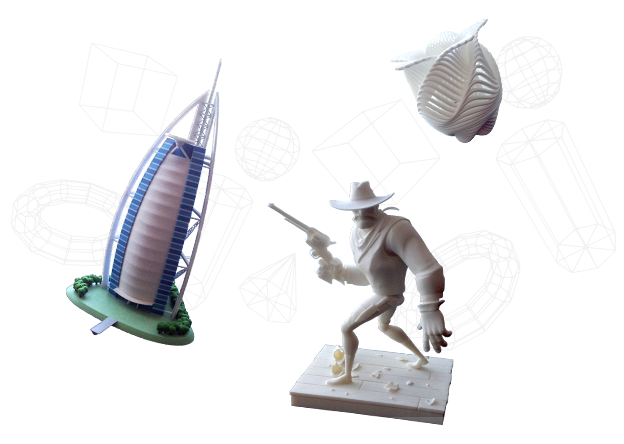 If you are an architect, an interior designer, an aspiring artist, a student, or someone who has a 3D design project to complete and print, we are here to help you. We can transform your ideas and concepts into 3D designs and printed products. Imagine being able to print in more than 18 different materials, delivering cutting edge production and customization capabilities straight to your customers, and most importantly captivating their imagination, building an enviable ROI in the meantime. And we’ll bring your designs to life with realistic 3D models that are true to form, fit and function. Test drive your idea until satisfied.